I love salt dough crafts! You can create such cute items with just a little salt, flour, and water! 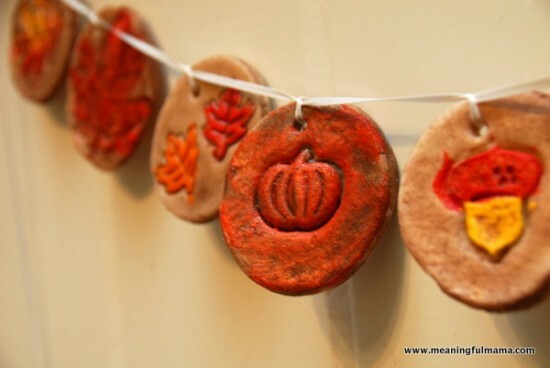 This fall ornament idea is no exception! These ornaments can either be strung up together to make a garland or can be hung separately all over the house. There is a full photo tutorial available at Meaningful Mama that shows each step of the process.